RiSE Lantern festival, after a sold-out sophomore year, is ready to expand into two days for 2016, Friday, October 7 and Saturday, October 8. This festival celebrates the collective elevation of peoples’ hopes, dreams, resolutions, goals and desires - will once again take place at the Moapa River Reservation. 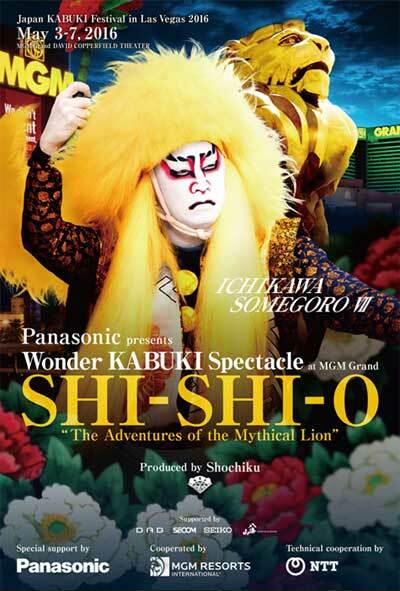 Internationally renowned Kabuki masters will take the stage in “KABUKI LION Shi-Shi-O: The Adventures of the Mythical Lion,” for six special performances in the David Copperfield Theater at MGM Grand Las Vegas May 3 - 7. The visual spectacular, produced by Japan’s leading entertainment company Shochiku, stars Ichikawa Somegoro, the world’s most celebrated Kabuki artist, and brings to life one of Japan’s national treasures. In-N-Out Burger is the newest fast-casual restaurant announced for the Las Vegas Strip at The LINQ Promenade. Slated to open this fall, the burger chain will be located near the fountain stage, between Sprinkles and Flour & Barley.